Our well-rounded team represents eight different countries with a variety of skills and languages, which enables us to craft solutions uniquely tailored to the needs of our valued partners. Kyle is a co-founder, principal and serves as the Chief Executive Officer (CEO) of NewGen Worldwide, LLC and its subsidiaries Green Card Fund, LLC and NewGen Advisory, LLC. The family of companies comprise a diversified real estate investment firm focused on creative and flexible solutions. In addition to his diverse responsibilities as CEO, Kyle's primary focus is leading Green Card Fund, the development and implementation of capital solutions both domestically and internationally, and identifying attractive investment opportunities. Green Card Fund (greencardfund.com) is a United States Citizenship and Immigration Service (USCIS) designated EB-5 Regional Center authorized to raise foreign capital for domestic development projects. GCF's EB-5 investor's help fund community needs projects and are granted an immigration benefit for creating jobs based on their contribution. To date, GCF projects have contributed over $125 million in foreign direct investment, immigration benefits to over 250 families, and over 2,500 new healthcare, education, museum and hospitality jobs in Arizona and Washington, DC. NewGen Advisory (newgenadv.com) is a full service commercial real estate brokerage firm that specializes in hospitality assets. NewGen Advisory was a natural evolution of NewGen Worldwide's business model based on business partners Girish Patel and Dan Rama's lifetime experience in the hospitality industry. Kyle's understanding and creative financial approach aid NewGen Advisory clients in finding and securing profitable business opportunities. Kyle earned a BA in Interdisciplinary Studies from Arizona State University with a focus in Business and Urban Planning. 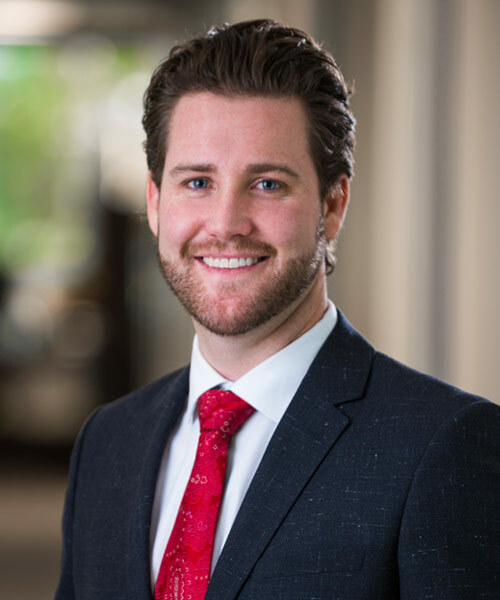 Over many years Kyle has been involved with the Greater Phoenix Economic Council's (GPEC) International Leadership Council. In 2016 Kyle Walker was elected to the board of directors of Invest in USA (IIUSA), the national EB-5 trade association. In this role Kyle is actively involved in the work on legislative reform and permanent reauthorization of the EB-5 program. Kyle splits his time between company offices in Phoenix, AZ and Washington, DC. In his spare time, Kyle is an avid reader, global traveler, and snowboarder. After having flown more than a million miles over the last 8 years as a passenger, his newest endeavor has him moving into the cockpit learning how to fly planes himself. Girish Patel is a co-founder and principal of NewGen Worldwide, LLC and its subsidiaries Green Card Fund, LLC and NewGen Advisory, LLC. The family of companies comprise a diversified Real Estate investment and Capital Solutions firm focused on creative and flexible solutions. Newgen’s portfolio of investments ranges from hospitality to healthcare. Among Girish’s numerous responsibilities include leading strategic initiatives, financial management oversight, and investment acquisitions of real estate. Green Card Fund (greencardfund.com) is a United States Citizenship and Immigration Service (USCIS) recognized EB-5 Regional Center authorized to raise foreign capital for domestic development projects. GCF’s EB-5 investor’s help fund community needs projects and are granted an immigration benefit for creating jobs based on their contribution. To date, GCF projects have contributed over $125 million in foreign direct investment, immigration benefits to over 250 families, and over 2,500 new healthcare, education, and hospitality jobs in Arizona and Washington, DC. NewGen Advisory (newgenadv.com) is a full service commercial real estate brokerage firm that specializes in hospitality assets. NewGen Advisory was a natural evolution of NewGen Worldwide’s business model with Girish and business partner Dan Rama’s lifetime experience in the hospitality industry. Having grown up an immigrant in his family’s hotel business, Girish learned business firsthand from a “bottom-up” perspective. Before he became an investor, lender, and consultant, Girish first learned every operational aspect of the underlying business. That ground-level experience through multiple economic cycles is the foundation for Girish’s 20+ years as a successful business owner and provides a unique insight and value to NGA clients and investors. Coupled with his belief in continued learning and mentoring, Girish devotes a growing amount of time to giving back to the community. Girish established & oversees the RC Patel Memorial Scholarship for students from seeking a career in real estate investments. 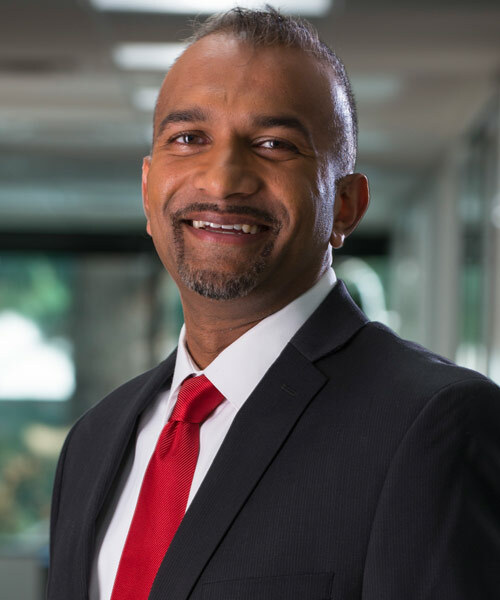 Girish also serves on the board of directors of Global Ties Arizona which strengthens relationships between individuals and nations by making international exchange programs more effective. Dan is a co-founder and principal of NewGen Worldwide, LLC and its subsidiaries Green Card Fund, LLC and NewGen Advisory, LLC. The family of companies comprise a diversified Real Estate investment and Capital Solutions firm focused on creative and flexible solutions. 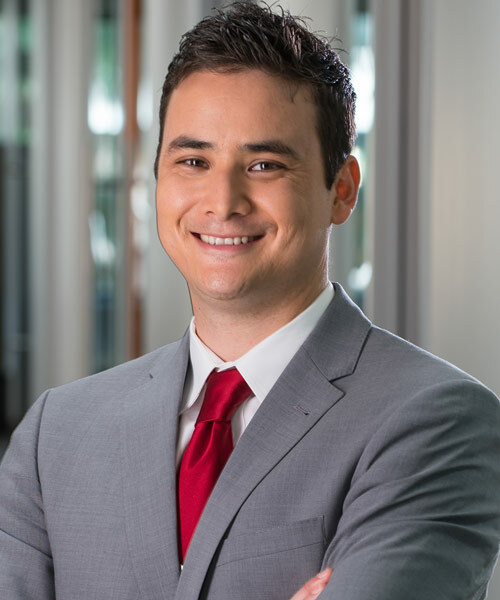 Dan’s primary responsibility is leading NewGen Advisory and serving as the Designated Broker in the state of Arizona. Green Card Fund (greencardfund.com) is a United States Citizenship and Immigration Service (USCIS) recognized EB-5 Regional Center authorized to raise foreign capital for domestic development projects. GCF’s EB-5 investor’s help fund community needs projects and are granted an immigration benefit for creating jobs based on their contribution. To date, GCF projects have contributed over $125 million in foreign direct investment, immigration benefits to over 250 families, and over 2,500 new healthcare, education, and hospitality jobs in Arizona and Washington, DC. NewGen Advisory (newgenadv.com) is a full service commercial real estate brokerage firm that specializes in hospitality assets. NewGen Advisory (newgenadv.com) was a natural evolution of NewGen Worldwide’s business model based on his and business partner Girish Patel’s lifetime experience in the hospitality Industry. Throughout Dan’s career, he has been involved with the disposition of over $600 million of hospitality assets. He has brokered and advised clients on acquiring, merging, and divesting of hospitality assets throughout the United States. He holds a Designated Brokers license in the State of Arizona. 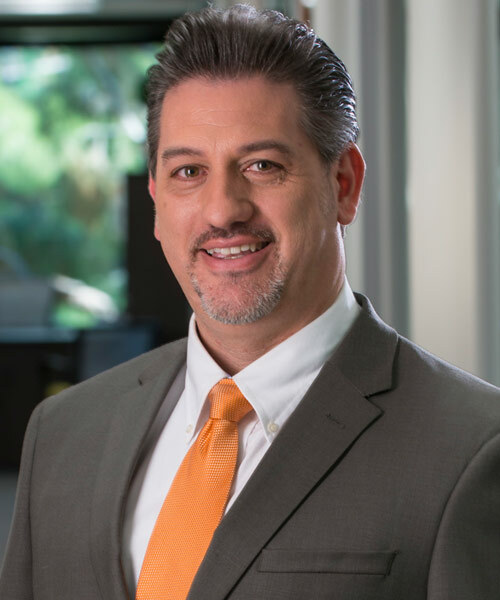 Dan began his career as a hotel operator and owner beginning in 1994 after pursuing his Bachelor’s Degree at the University of Arizona. He went on to grow his portfolio as a franchisee of Red Brick Pizza, Holiday Inn, Ramada Inn, and Comfort Suites. He maintains General Manager Certifications from Holiday Inns, Motel 6 and Days Inns. He also is a Certified Hotel Owner, CHO, and has Certification for Hotel Industry Analytics, CHIA. In addition to his company responsibilities, Dan is actively engaged in a number of industry organizations both locally and nationwide. 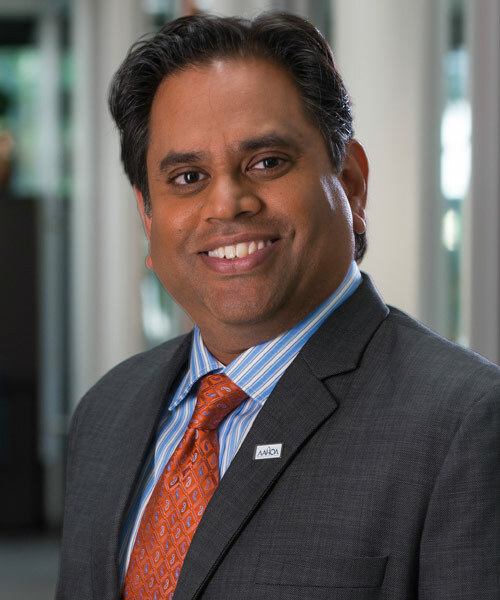 He is a member and currently serves as an Ambassador and is formerly the Southwest Regional Director of the Asian American Hotel Owners Association (AAHOA), the largest hospitality owners association in the United States and is a member of Arizona Lodging and Tourism Association’s (AZLTA) and serves on the Board of Directors. Dan lives in Gilbert, AZ with his wife Chetna, their son Suraj, and their daughter Sonya. In his free time, Dan likes to golf and cheer on his beloved Denver Broncos. 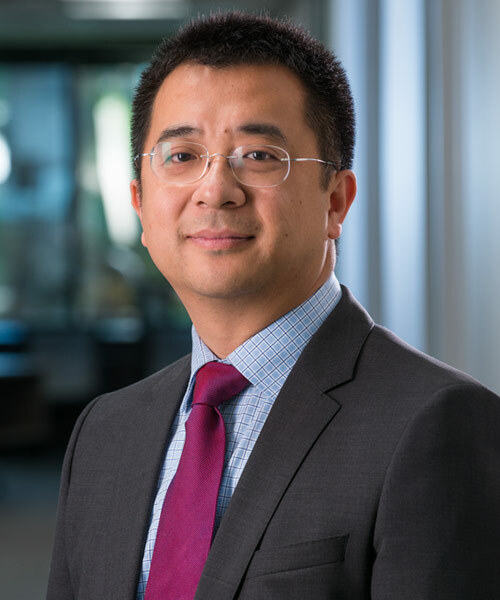 Fei “Andy” Peng is a Chinese-born American citizen with over 20 years of international business experience between China and the United States. Prior to coming to the U.S. to pursue his MBA, Andy worked at the Civil Aviation Administration of China (CAAC). Mr. Peng founded a successful international trading company facilitating direct transactions between businesses in China and the United States. He is actively involved in the start-up of a new high-tech company specializing in P2P finance and his in-depth understanding of both the Chinese and U.S. business climate has greatly enhanced Green Card Fund’s ability to support investors in Asian markets. Suraj is the Chief Legal Officer of NewGen Worldwide, LLC. He is a member of the NewGen Worldwide's senior leadership team and participates in the operational management and strategic planning of the company and its subsidiaries, in particular Green Card Fund and NewGen Advisory. NewGen Worldwide along with its family of companies is a diversified firm that engages in real estate investments and creative capital solutions, while providing advisory services to the entrepreneurial investor. Suraj initially served as outside counsel for Green Card Fund and NewGen Worldwide from 2008-2014, thereafter joining the NewGen Worldwide family as Chief Legal Officer. Since then, Suraj has been providing leadership for the company's legal, regulatory affairs and corporate governance activities. He is responsible for corporate activities in the areas of real estate, risk management, contractual relations, and investment strategies. In addition, Suraj currently leads ups the business administration of NewGen Advisory - a full service commercial real estate brokerage firm that specializes in hospitality assets. 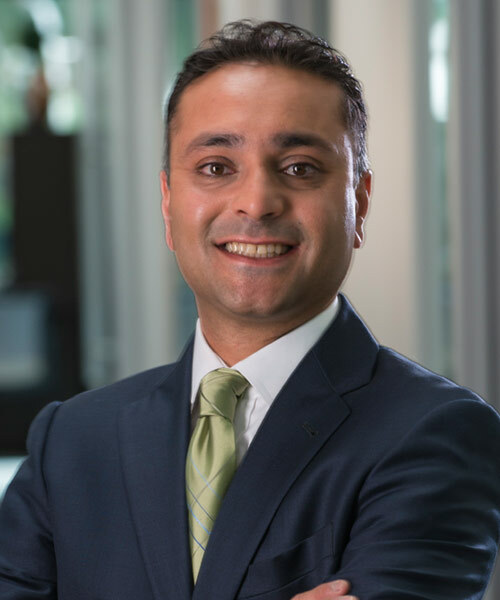 Prior to joining the company, Suraj was managing partner of Bhakta & Associates, PLLC where here represented a wide variety of business clients as a part of a full-service business law firm. His areas of expertise included acquisitions and sales, corporate structuring, contracts, franchise law, development and construction, equity and debt financing, and leasing. He is a native of Ohio where he grew up in the greater Cincinnati area, graduated in 1999 from The Ohio State University with a Bachelor of Science in Business Administration, and earned his Juris Doctorate degree from Case Western Reserve University in 2002. He lives in Peoria, AZ with his wife, Neena and their two sons, Shiv and Soham. Mike serves as the Chief Operating Officer of NewGen Worldwide, LLC and its subsidiaries Green Card Fund, LLC and NewGen Advisory, LLC. The family of companies comprise a diversified Real Estate investment and Capital Solutions firm focused on creative and flexible solutions. In addition to his responsibility for the day-to-day operations of all three entities, he leads corporate communications and compliance. Green Card Fund (greencardfund.com) is a United States Citizenship and Immigration Service (USCIS) recognized EB-5 Regional Center authorized to raise foreign capital for domestic development projects. GCF's EB-5 investor's help fund community needs projects and are granted an immigration benefit for creating jobs based on their contribution. To date, GCF projects have contributed over $125 million in foreign direct investment, immigration benefits to over 250 families, and over 2,500 new healthcare, education, and hospitality jobs in Arizona and Washington, DC. NewGen Advisory (newgenadv.com) is a full service commercial real estate brokerage firm that specializes in hospitality assets. Mike serves on the President's Advisory Council and the Best Practices committees for Invest in the USA (IIUSA), the EB-5 industry trade organization. 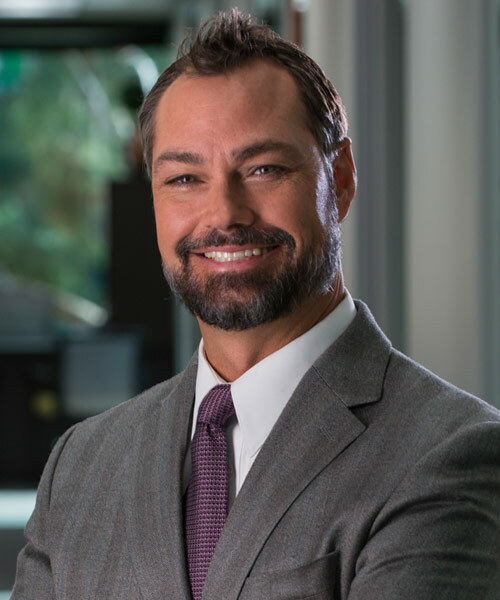 Previously, Mike held international business development, sales, and senior management positions with major multinational organizations such as British Telecom, Motorola, Iridium, and T-Mobile. 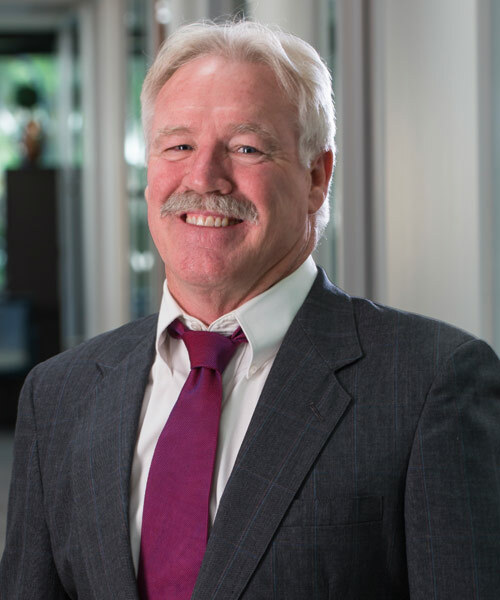 Prior to joining the NewGen family of companies, he served as Vice President of Business Attraction for the Arizona Commerce Authority (ACA), the State of Arizona's economic development entity. Mike earned his Bachelor of Arts degree in Political Science from the University of Arizona, a Master of Business Administration (MBA) in International Management from Thunderbird, The American Graduate School of International Management, and a Master of Legal Studies (MLS) with an emphasis in International Trade from the Sandra Day O'Connor College of Law at Arizona State University. Mike lives in Scottsdale, AZ with his wife and two boys and their beloved Goldendoodle, Snax. In his private time, he coaches youth sports and enjoys traveling with his family. Michael is the Chief Financial Officer for NewGen Worldwide, LLC and its subsidiaries Green Card Fund, LLC and NewGen Advisory, LLC. The family of companies comprise a diversified Real Estate investment and Capital Solutions firm focused on creative and flexible solutions. Michael and his team manage the company's day to day accounting as well as all budgeting, forecasting and financial modeling for all NewGen operations. Prior to joining NewGen, Michael has over 20 years of accounting, tax and operations management experience serving small to mid-sized businesses. He holds both a New York and Arizona State C.P.A. license. Having worked in both the public accounting as an Audit Manager at Pricewaterhouse Coopers and private accounting environment and owning multiple business himself, he has had the opportunity, through hands-on experience, to become proficient in a broad base of accounting and related management functions. Michael's diverse background affords him the unique opportunity of utilizing the angles of both tax and business strategies when analyzing work product. He is a member of the American Institute of Certified Public Accountants and Arizona State Society of Certified Public Accountants. Michael, a proud of Italian, lives in Scottsdale with his wife, Patty and their three children, Alyssa, Anthony and Joey. In his spare time, Michael coaches ice hockey and loves cooking Italian food. Mr. Walker received a Bachelor's Degree in Economics from Illinois State University. He is a third generation construction professional with over four decades of experience. With experience across multiple real estate types and all phases of construction Mr. Walker understands how to move a project forward on schedule and within budget. As Field Supervisor, Tom is tasked with monitoring construction activities for NewGen, serving as a liaison between General Contractor and our leadership. 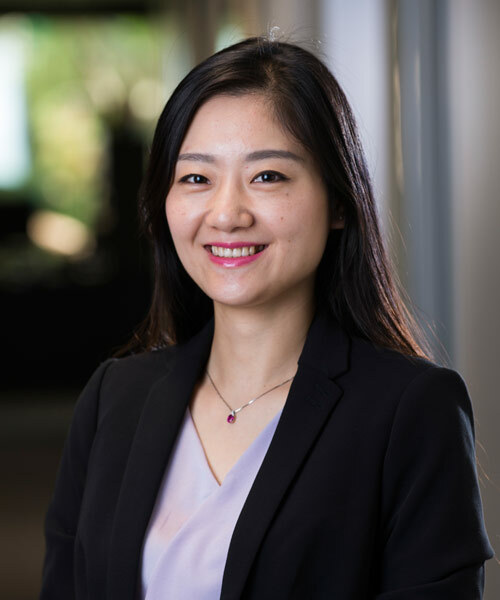 Elaine’s extensive experience in international business, education, and language capabilities makes her a key contributor to the GCF team. Previously she has served as a senior flight attendant for China Eastern Airlines on routes to Europe and North America. 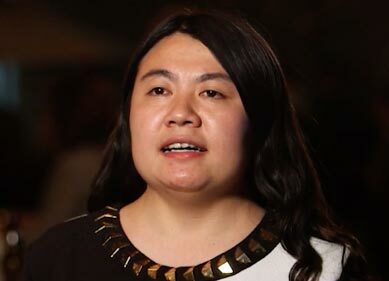 Leveraging her leadership and management skills she then went on to become a project manager for Shanghai Yongxin Construction Engineering Company. Later she worked in the executive offices of Shanghai Huaqiao Exit and Entry Services, Co. as assistant to the president and then as an immigration consultant for Shanghai Huazhi Exit and Entry Services, Co. Elaine has a Bachelor’s Degree in Russian Language and Literature from Shanghai International Studies University and a Masters Degree in Air Transportation and Management with distinction from City University in London. Need to get a hold of our team members?